Our live room sounds splendid and can easily accommodate a five-piece band. If you’re nice to us, we’ll let you take your pick from our assortment of instruments. As well as the standard fare, there’s a piano, and all kinds of unusual stuff. We have a range of electronic devices, including a Roland SH-101, Nord Lead 2X, Access Virus TI, an original monome 40h and a high-spec laptop with Ableton Live and many other clever programmes. See the gear section for a full list of what you can get your hands on. 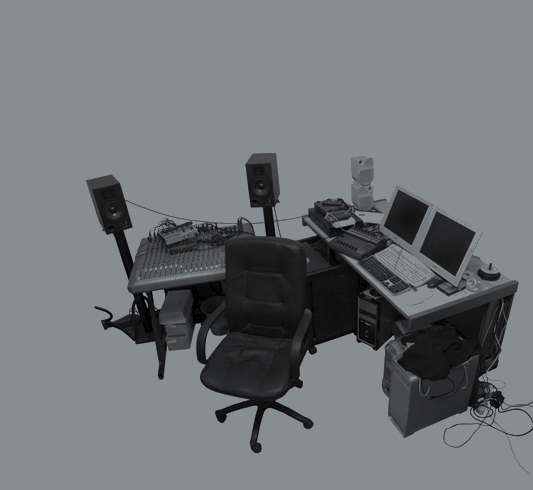 The control room is large and has an analogue desk, which tells Pro Tools what it can record and play. There’s a comfy leather sofa and well-stocked fridge, good coffee, bad coffee and the hippest periodicals so you can keep up with the latest trends.